Who told one man cant make the difference? Who told Politics is not for the ones with academic radiance? Traditionally, with rare exceptions, Trivandrum has often been voodooed to host a herd of illiterate, apocryphal, nugatory and phony vote-hunters who never used their vocal cords for the cause of the city. Neither did they have a grasp of what this coastal-capital town held in promise, nor did they attempt to get the priorities of the city right. 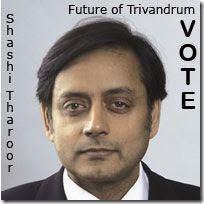 Reading through the vision Dr. Tharoor has outlined for Trivandrum, one could easily notice the difference between an adulterated and hollow election manifesto and Dr. Tharoor's plausible concepts of nurturing the city into a better one. WOW, this man needs to be given the chance; afterall haven't we enough faux pas? From the womaniser Nadar to the Charles-in-oblivion and lately the buttoned up Rambo Pannyan, this place deserves better, don't you think so? Trivandrum has got the spotlight on it with Dr. Tharoor's candidature, the type of person any constituency would be proud to own. His professional qualifications, stints at top international offices, prolific writing & and charismatic figure which commands respect is enough to turn the heat on the opponents. Not being the Devil's advocate here, but how he will be able to wade his route through the sludgy waters of caste, double-cross, money and all evil you could imagine is an uncomfortable question, especially in the prevailing volcanic political environment in the constituency. My bet is on the apolitical middle class in the urban centers and on the remarkable ability of the educated youth of the city, who have exhibited clear signs of using their brain cells to choose. These new voters could just be the difference! 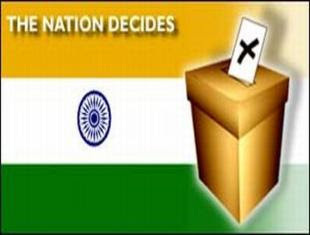 Come April 16th, the 11 lakh electoral in Trivandrum have the option of choosing the man who could turn the tables for their city. After exactly a month we will know for sure where Tharoor belongs to and how. Are you ready for the change, Trivandrum?